How can I use up, reuse or recycle goose fat? | How can I recycle this? 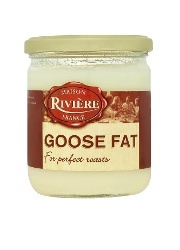 How can I use up, reuse or recycle goose fat? We jumped onto the goose fat bandwagon at Christmas because everyone was saying it was the best way to make roast potatoes but they were awful!! Not sure if it was my fault or the fat but either way they’re off the menu here now!! We’ve got a nearly full jar full what can we do with it? Compost? I wouldn’t compost it – our compost bins aren’t sealed and I’d worry about it attracting vermin/animals to the area — too many downsides for not that much compost “profit”. If I was you, I’d probably see if a friend wanted it. There are lots of other things to cook with goose fat aside from roast potatoes apparently – but I guess they’re not much good if the potatoes were “awful” because of the fat’s flavour. Someone else might be able to use it up though. Aside from that, the consensus seems to be that it’s ok to use to make fat balls for birds. It’s not supposed to be as good as more solid lard but will make a calorific – and expensive – dinner for the local wildlife. Any other suggestions – recipes or other uses? Goose fat is good for leather, I’ve used it for cleaning horse tack before. Just wipe it on and rub it in – good for shoes, belts, jackets etc as it keeps them from drying out and cracking, plus helps to make them more supple and water resistant. Of course you can always make soap! Use it on anything that squeaks and needs lubrication. Greese is not good for compost. Make fire starters, dipping twigs or rolls of paper in it. 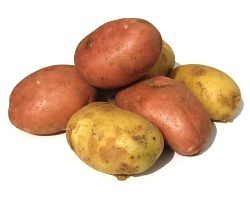 Use for softening dry skin. Feed it to your dogs or cats, adding to their food. They love it.